When Sandi and Ed Taylor came to The County in 1993 they knew they wanted to both farm and produce maple syrup on a small scale. 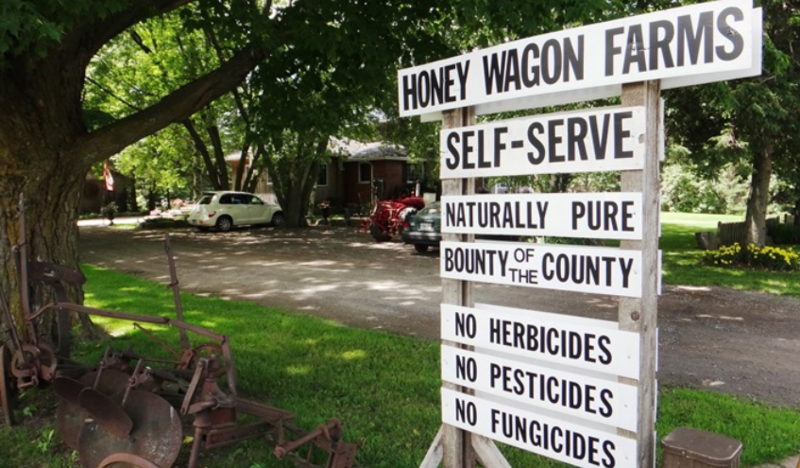 A year of searching led them to what is now known as Honey Wagon Farms located just down the road from the Waring House. This purchase allowed them to fulfill that desire to grow veggies without the use of herbicides, fungicides or pesticides and to make maple syrup. The farm originally had a limited source of maple trees. Fortunately, several years after moving in, they were able to add to their maple operation with the purchase of an adjacent sugar bush from the Lockyer family. Now each new season begins with the tapping of 550 trees at the back of their 86 acre farm. The self-serve farm stand offers a good range of seasonal produce and a wow-factor display of fall squash and pumpkins.